We recently toured the Studio on Richmond condo community site for a construction update, and compared to where the project stood last month, it’s clear the Aspen Ridge Homes development is making major headway. We also got to peek at Studio 2, the second and final tower in the community, for the first time. 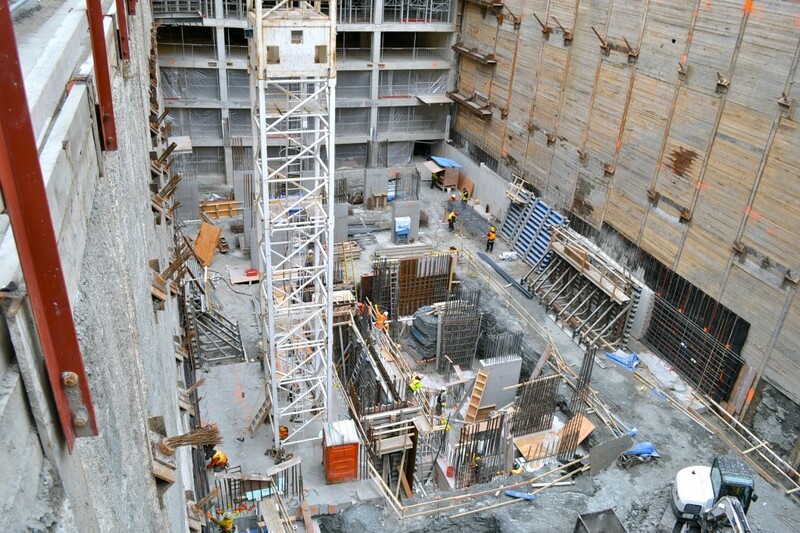 Once complete, the high-rise will stand 41 storeys tall and house 425 units and 10 townhomes. The Aspen Ridge team anticipates to hit ground level in three to four months. After that, construction will continue to move along quickly, with occupancy at Studio 2 scheduled for fall/winter 2015 and estimated completion slated for summer 2016. 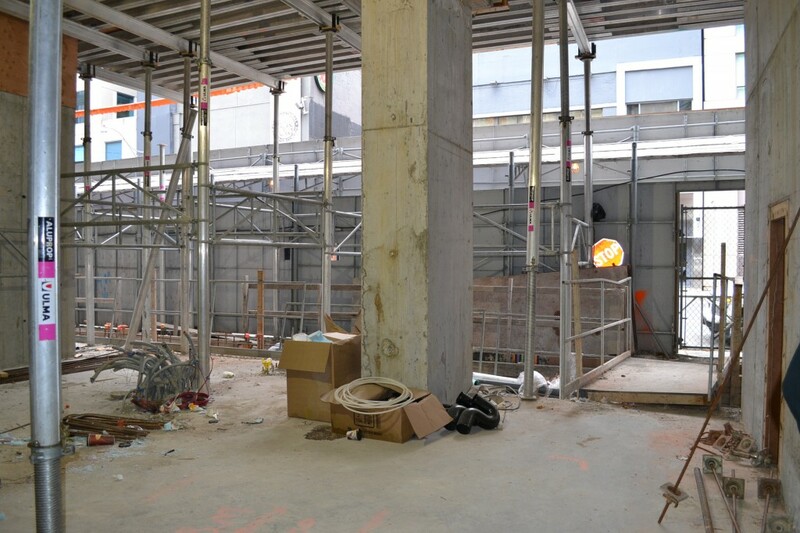 The accompanying tower, Studio on Richmond, is already up to the fourth floor, so it won’t be long until the structure is complete and stands 31-storeys tall. 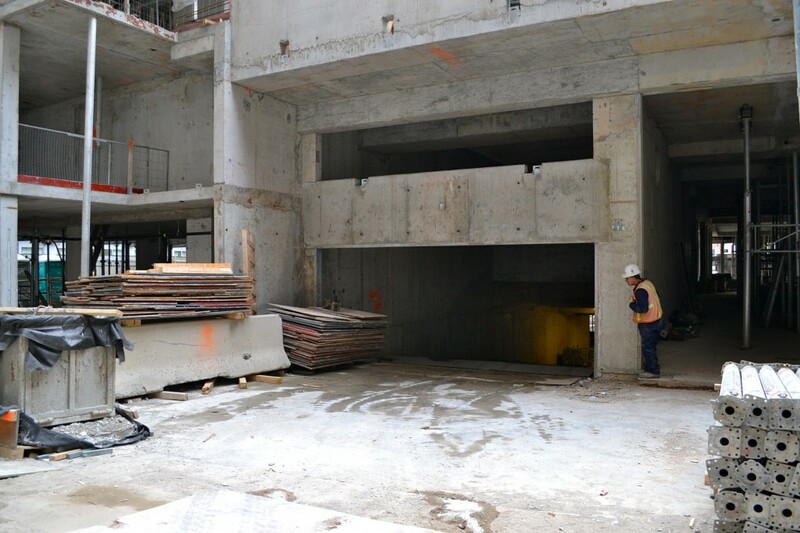 The developer has also flexed its creative muscles by building a 8,000 square foot OCAD gallery space on the ground level. The front entrance to Studio on Richmond! Try to use your imagination and picture sleek furniture and modern finishes. 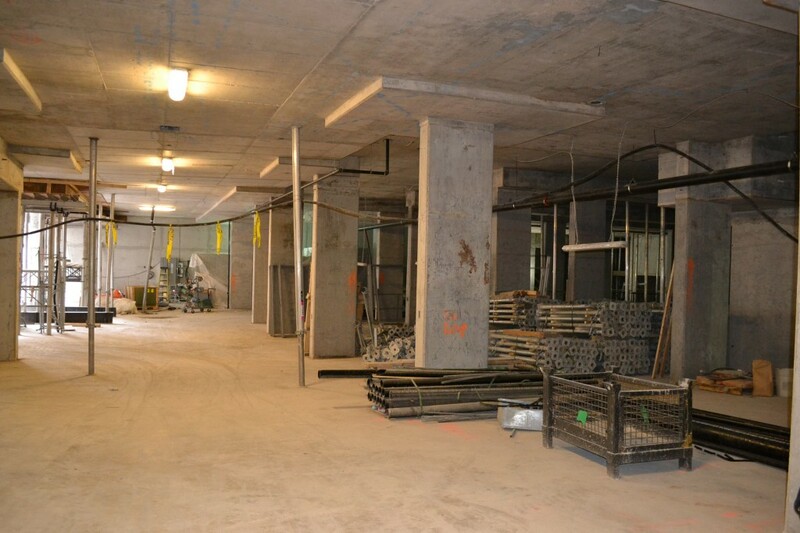 A peek at the 8,000 square foot OCAD gallery space that will also include a cafe. When you enter, expect to be greeted by pops of colour. 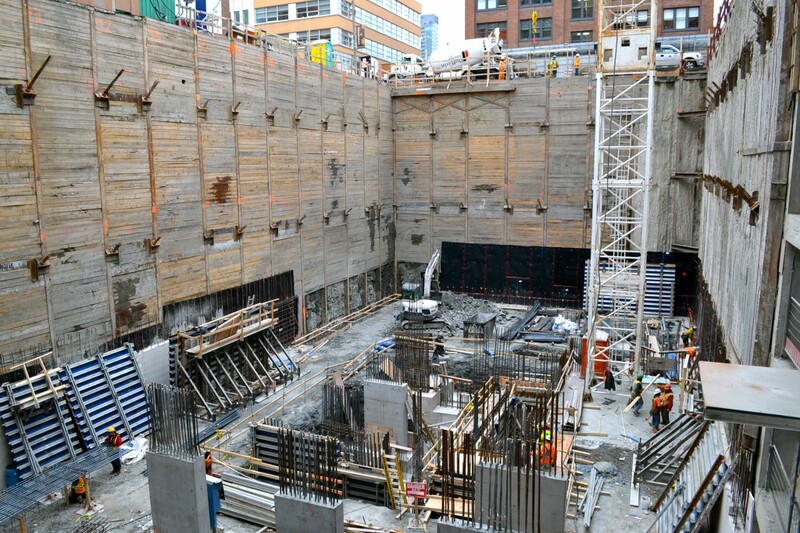 Both towers will be connected to a large multi-storey parking garage that will contain 503 residential and 58 visitor and public parking spots. 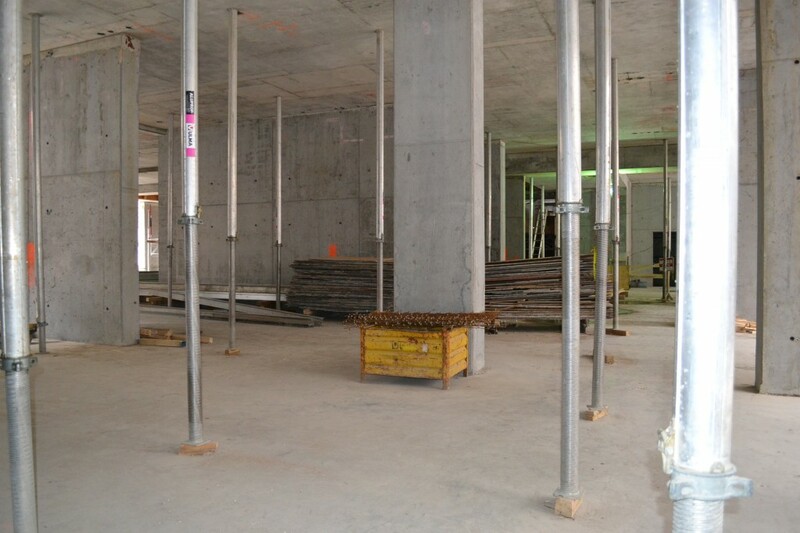 There will also be a separate elevator dedicated to the public parking space. Here, we make our way into the underground parking lot through the P1 entrance. Voila! Plenty of parking spots to go around. 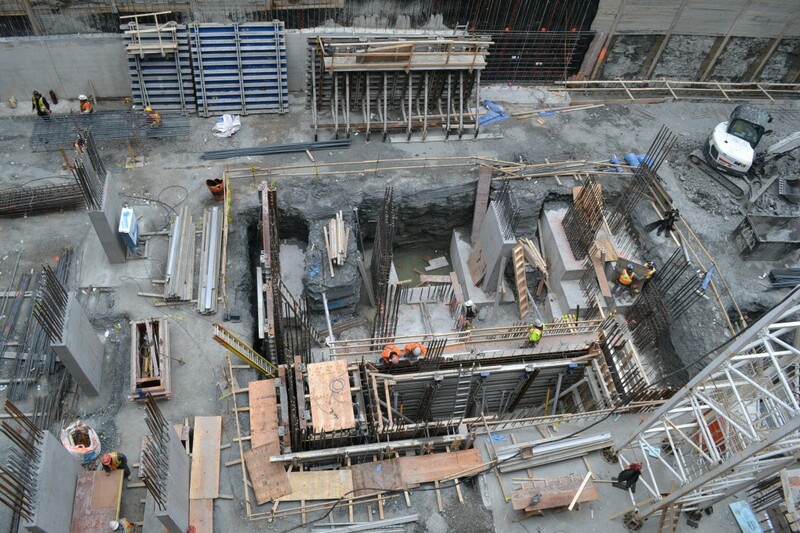 The construction crew is currently working on finishing the P5 footings. The two-tower development was designed by the acclaimed Quadrangle Architects and will boast a modern facade that will resemble boxes stacked on top of one another. To add to its distinctiveness, bold splashes of colour will be painted onto the top and bottom of the towers.